Shape-shifting monsters prowl small-town America, looking to feed off the life energy of female virgins in Sleepwalkers. 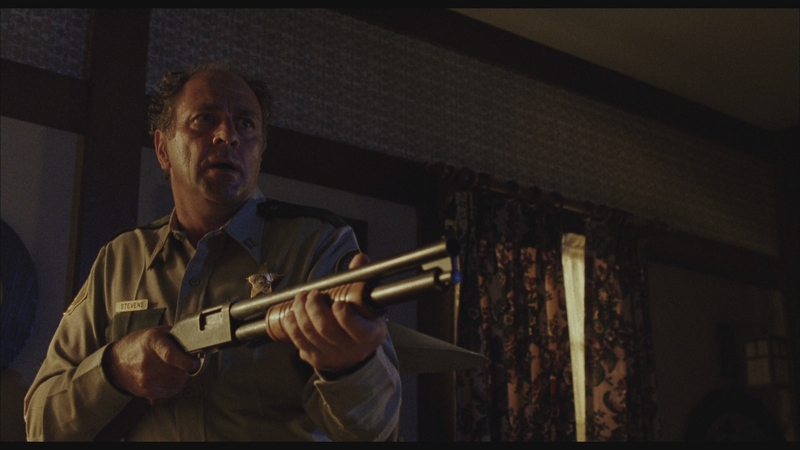 If that sounds like a Stephen King novel, it’s because this was King’s first original screenplay made into a movie. Throw in an incestuous sub-plot, lots and lots of household cats, early morphing effects, Mick Garris (Critters 2) directing his first studio movie, and a young Mädchen Amick (Twin Peaks) as the beautiful teen ingénue – not to mention cameos by Mark Hamill and John Landis. Add it all up and you get a monster thriller with wild shifts in tone and dialogue. Somehow it all comes together in making a weirdly enjoyable and memorable b-movie. What Sleepwalker has going for it in spades is a unique and creative idea backed by solid practical effects. Travis, Indiana is never the same after a murderous mother and son move there. They are no ordinary family, but feline-like monsters hiding in human form. Immensely strong and able to become invisible, the one thing they fear are household cats. Seriously, a gun won’t stop them but your average pet cat can kill them. Only Stephen King could have come up with these monsters. An opening title card has to give a backstory for the shape-shifting creatures seen in Sleepwalkers because the movie doesn’t adequately them or their background. Maybe it’s better that way. Charles Brady (Brian Krause) and his mother Mary (Alice Krige) travel from place to place, feeding off the life energy of virgin women. They are the last of their kind, powerful monsters that can appear human when needed. The strangest thing of all is that Charles and his mother are in an incestuous relationship. He finds their young victims and helps feed her the energy they need to survive. 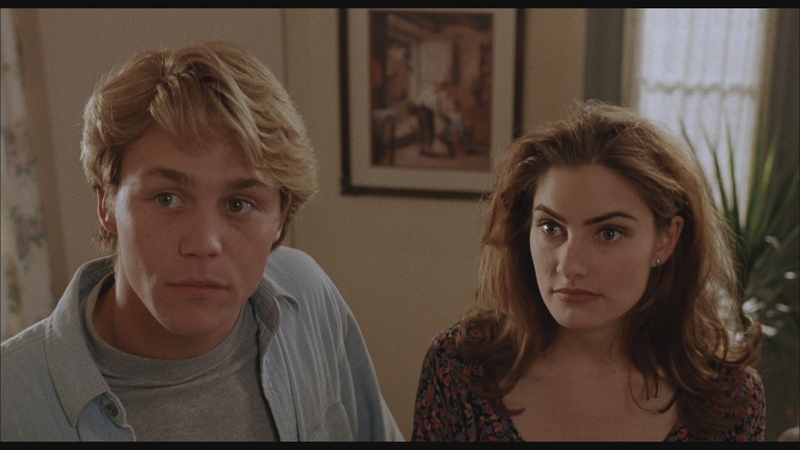 Charles enrolls in high school and soon catches the eye of the innocent Tanya (Mädchen Amick). She soon swoons over his dream guy act and handsome looks. Mary pushes Charles to claim Tanya as the next victim. Sleepwalkers then kicks into overdrive during a wild final act that ends in destruction and mayhem. Built on solid practical effects and new morphing technology at the time, Sleepwalkers approaches its monsters with both restraint and then wild abandon. The changing tone is immediately evident and jarring. 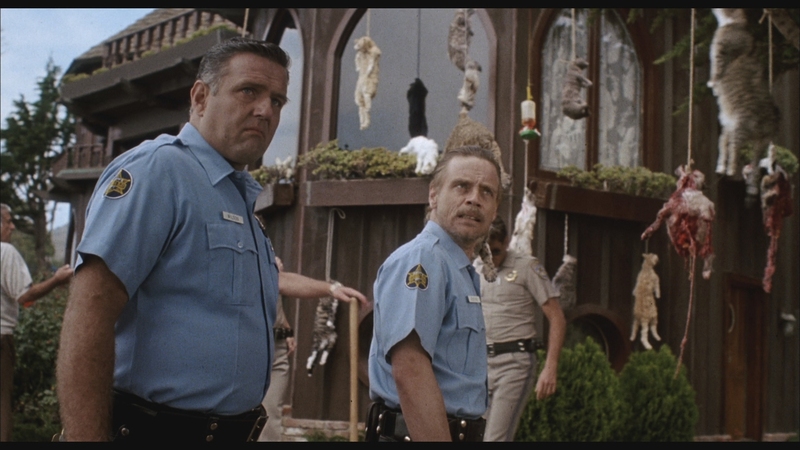 Stephen King’s Sleepwalkers has an undefinable charm despite the bizarre shift in tone for the last act. The monsters are straight out of King’s imagination and the hints at their backstory help add mystery. Maybe it’s the unusual “heroes” that save the day, hundreds of cats led by a sheriff’s cat named Clovis. 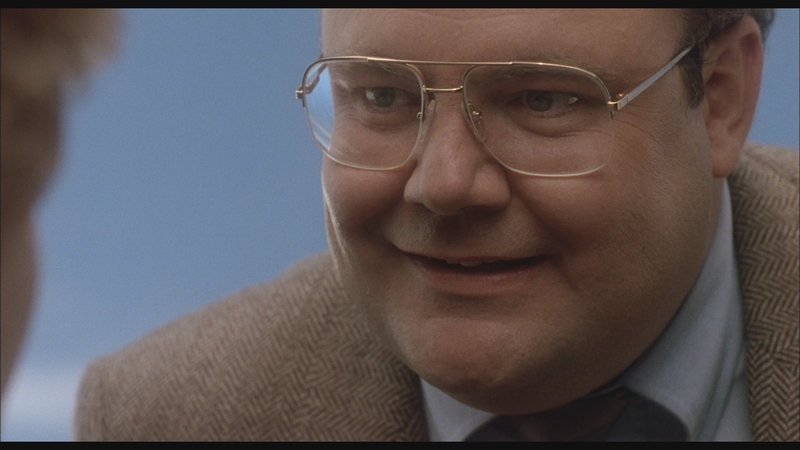 Little is typical about the plotting in Sleepwalkers, which breaks out of the standard genre formula with creativity. The idiosyncratic musical choices, including Santo & Johnny’s Sleep Walk, play a prominent role in the movie. The cast is top-notch for a Stephen King thriller. 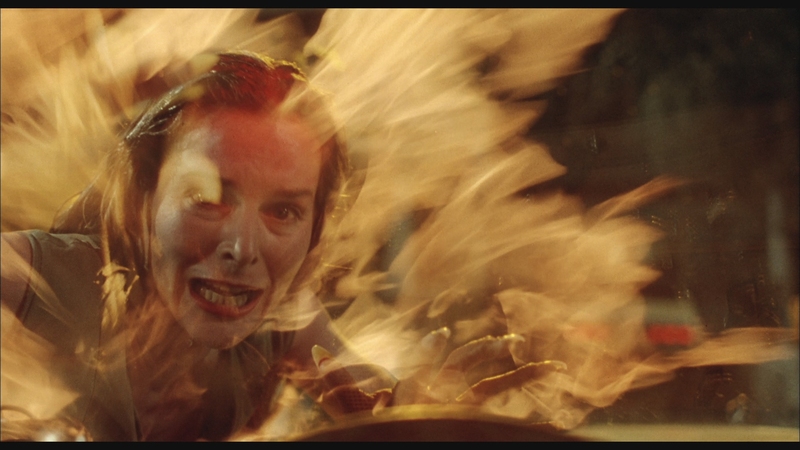 Alice Krige is perfect as the creepy and seductive mother. Brian Krause (Return To The Blue Lagoon) is great as the conflicted teen monster. But the real star is sweet and appealing Mädchen Amick as the teenager in love. Her charisma makes Tanya the perfect teen protagonist. Stephen King’s Sleepwalkers isn’t a great movie but it’s an entertaining genre thriller. The strong cast, the inventive monsters, the solid practical effects, everything fits together for the b-movie. Given Scream Factory’s penchant for hyping any sort of new film transfer, it appears they likely licensed the same film transfer struck by Sony which was used for the 2012 Blu-ray by Image Entertainment. It’s a solid, capable presentation of the 1992 film with real depth and definition. Critical improvements can be seen in the AVC video encode, smoothly handling the film’s mild grain structure and detail without artifacts. The main feature runs 99 minutes on a BD-50. The 1080P video retains the movie’s 1.85:1 theatrical aspect ratio. A hint of processing is evident as seen by limited ringing. This older Sony transfer has decent saturation, an even contrast, and serviceable fine detail. Most impressive are the exterior scenes, which highlight excellent clarity and sharp video. The practical effects can be viewed in exacting detail, sometimes to the movie’s detriment. Flesh-tones are warm and healthy, even if some scenes fall flat. Outside of limited crushing early in the film, the black levels are fine. 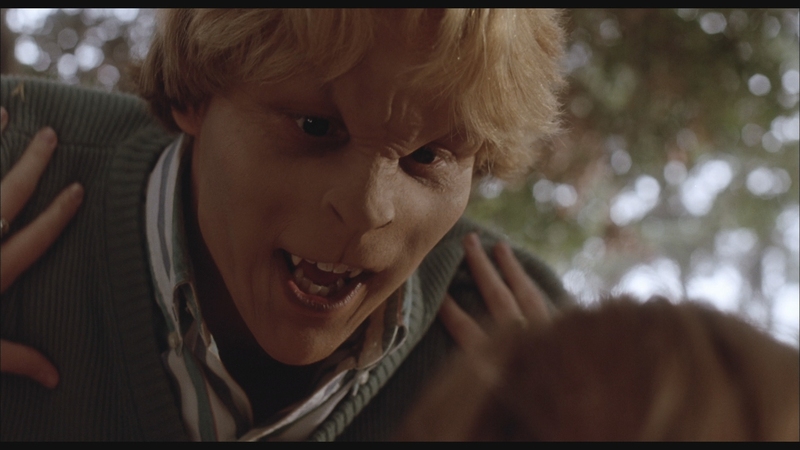 Sleepwalkers looks better than ever on home video in this new Blu-ray edition. Having seen the movie in theaters, I remember it as having a slightly stronger contrast and warmer colors. But as-is, this is a fine, film-like presentation of a 1992 b-movie in 2018. Stephen King’s Sleepwalkers finally receives a full surround soundtrack on home video with Scream Factory’s collector’s edition. The new 5.1 DTS-HD MA soundtrack pushes the original stereo mix into a more encompassing sound design. Nicholas Pike’s score and the movie’s signature tunes like Santo and Johnny’s classic tune Sleep Walk receive a full, dynamic presentation. It’s a punchy, atmospheric mix with dialogue anchored in the center channel. Enya’s Boadicea plays a key part in establishing the movie’s tone. Being a studio production from Sony (Columbia-Tristar), the audio is better than you would expect for what is a Stephen King b-movie at heart. The original stereo mix in 2.0 DTS-HD MA is capable in its own right. The music feels a little more cramped but the bass is just as tight. The 1992 monster thriller had been controlled on DVD by Sony across the world, receiving practically nothing in terms of special features. 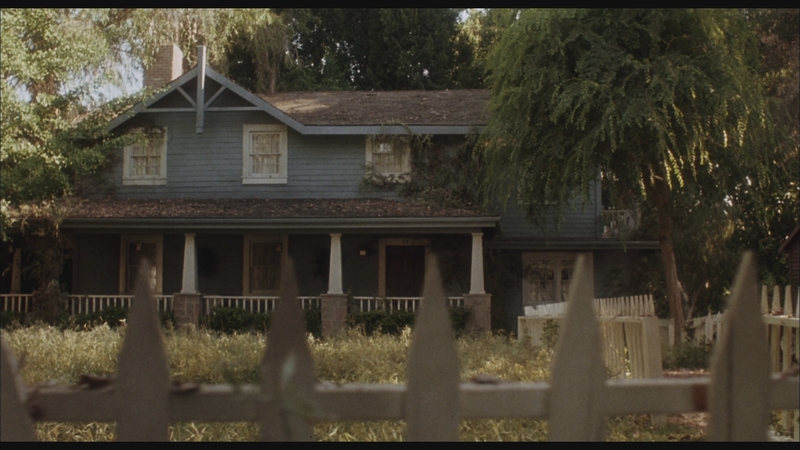 Image Entertainment took a crack at Sleepwalkers back in 2012, releasing a plain Blu-ray with no significant extras. Scream Factory’s collector’s edition provides all-new featurettes and a major group commentary with the director, not to mention both lead actors. Delving into the movie’s special effects with rare archival footage and obtaining new interviews with Alice Krige, Mick Garris, Brian Krause and Mädchen Amick, this is a great special edition worth owning for fans. Featuring virtually everyone involved with the movie outside of Stephen King himself, fans get their money’s worth. First pressings include a slipcover with awesome cover art. The inside cover has reversible cover art. The first 750 pre-orders on Shout Factory’s website came with a free rolled poster of the movie. Audio Commentary With Director Mick Garris And Actors Mädchen Amick And Brian Krause – A relaxed, casual and very enjoyable discussion with the film’s director and two primary leads. Mädchen Amick has fond memories of the production and adds a lively, pleasant tone to the group dynamic. The commentary delves into issues with the production, problems filming with cats, and possible holes in the story. Feline Trouble: An Interview With Director Mick Garris (18:34 in HD) – Garris discusses his first studio project and working with Stephen King, among other highlights. When Charles Met Tanya: A Conversation With Actors Mädchen Amick And Brian Krause (15:25 in HD) – The actors sit together for an extended chat as they recall various anecdotes about their experiences. Krause couldn’t eat in his costume. The movie is apparently a source of in-jokes for Amick and her husband. Mother & More: An Interview With Actress Alice Krige (15:49 in HD) – The veteran actress discusses working with cats and appearing in genre films. 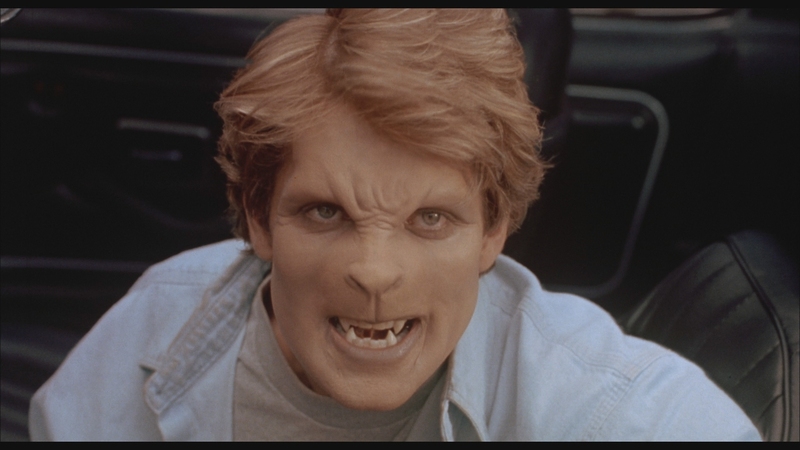 Creatures & Cats: The FX Of Stephen King’s Sleepwalkers (15:38 in HD) – Interviews with special make-up effects creator Tony Gardner and prosthetic designer Mike Smithson. Costume work and how they operate are discussed. Behind-The-Scenes Footage (06:53 in SD) – Rare archival footage from production and the set while filming. Watch the monsters’ costumes and how bulky they look. Theatrical Trailer (01:53 in HD) – Sleepwalkers’ trailer with a classic voice-over by Movie Voice Guy, Don LaFontaine. TV Spots (01:52 in SD) – Several short original television spots in spotty quality. Sleepwalkers isn’t perfect, but the appealing cast and impressive creature effects paper over some of the smaller concerns in this fun b-movie thriller. The unaltered images below have been taken directly from the actual Blu-ray. For an additional 27 screenshots taken from Sleepwalkers, early access to all screens (plus the 18,000+ already in our library) in full resolution, dozens of exclusive 4K UHD reviews and other perks, support us on Patreon.